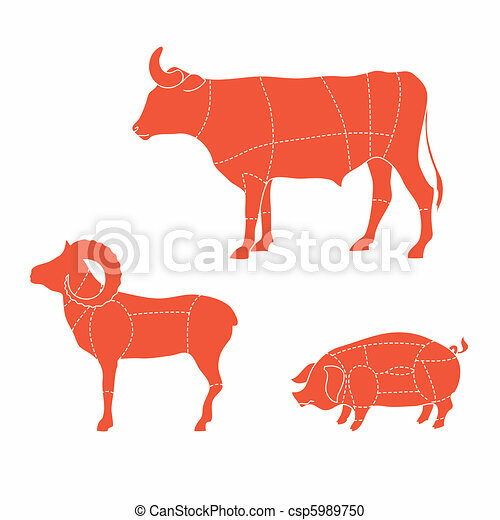 Cuts-cow-mutton-pig. 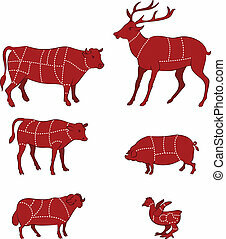 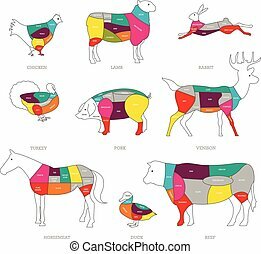 Template - how to cut meat cows, ram, pigs. 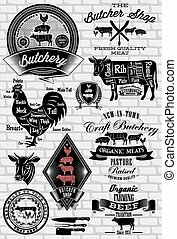 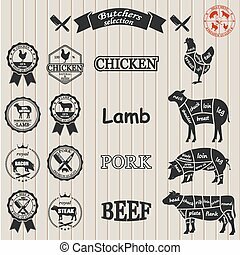 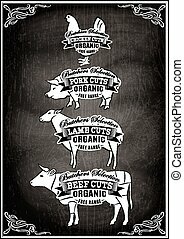 Butcher shop concept vector illustration. 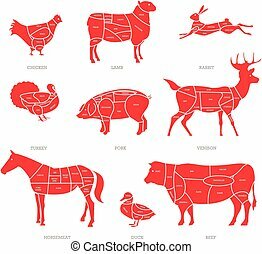 Meat cuts. 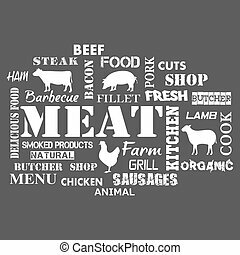 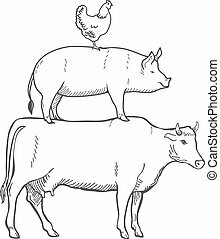 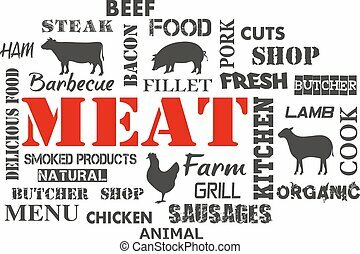 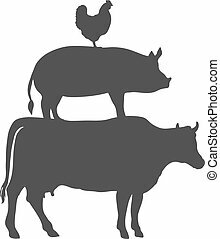 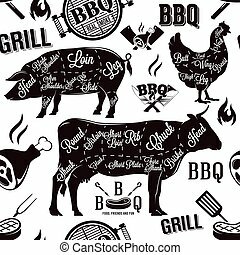 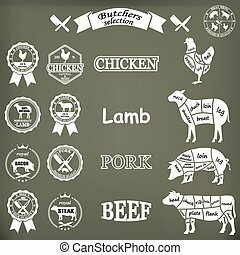 Animal parts diagram of pork, beef, lamb.